A three-car pile-up shut down a major thoroughfare in the northern suburbs during Monday morning's commute. 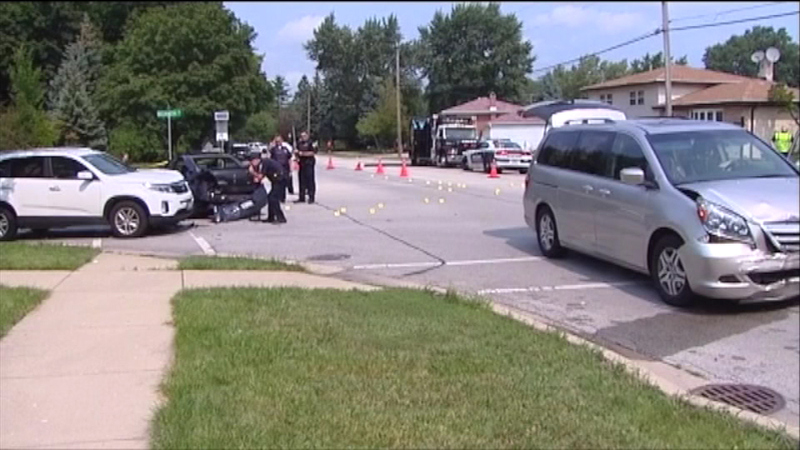 MORTON GROVE, Ill. (WLS) -- A three-car pile-up shut down a major thoroughfare in the northern suburbs during Monday morning's commute. The crash happened on Shermer Road and Beckwith in suburban Morton Grove. Shermer was shut down between Golf and Harlem for quite some time. Police say one of the victim's wasn't wearing a seat-belt.